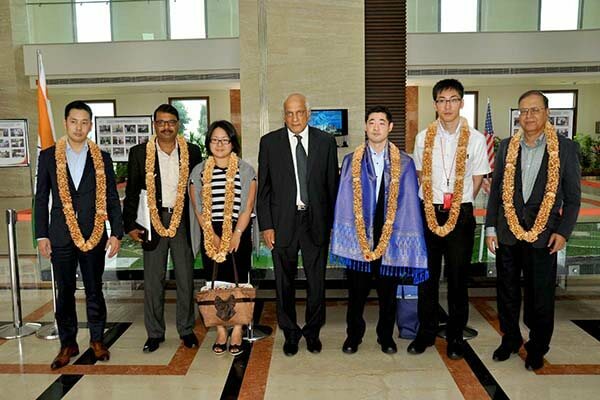 Sri City, February 27, 2017:- A six member delegation, comprising of senior officials of food related government departments and private companies, headed by Mr. Toru Ryu, Deputy Director of Regional Affairs Division, Ministry of Agriculture, Forestry and Fisheries (MAFF) of Japan visited Sri City on Monday. Mr. Ramesh Subramaniam, President, Sri City Foundation extended a warm welcome, and briefed the delegates on the infrastructure and the unique features of Sri City. During the briefing session they all evinced keen interest in knowing more about the industrial park. They all went round the campus and witnessed the existing infrastructure. They visited the production units of Mondelez and Piolax companies and interacted with the senior personnel. “The ‘Food Processing Zone’ of Sri City, being the home to high profile Food & Beverage biggies like Cadbury, PepsiCo, Kellogg’s, Lavazza, Everton Tea, besides a few other prominent Indian companies, is at the top-of-mind-recall of investors. We are confident, visit of MAFF delegation will pave way for investments from Japan,” he added. Stating that they were all excited to visit Sri City, Mr. Toru Ryu said,”I had visited recently a mega industrial parks in Thailand. But, confidently, I can say that Sri City is far better than it in many aspects. We will introduce Sri City’s business potential to Japanese Food Processing sector and recommend it for investments. 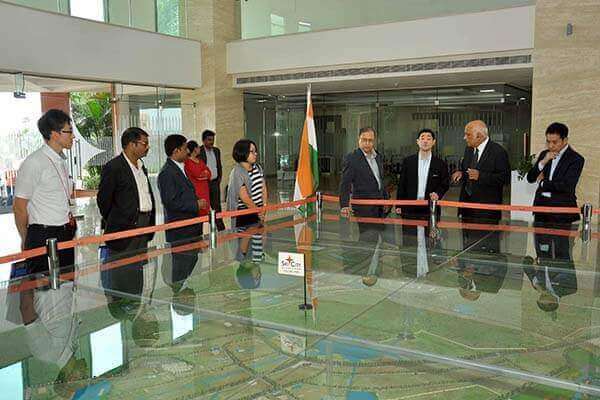 “The intent of their visit was to witness the existing infrastructure at Sri City, assess the business potential and explore the possibility of setting up there some of the Japanese food processing industries, for exports and domestic markets. MAFF is now focusing on developing Global Food Value Chain in the world aiming for increasing agricultural products and processed food made by Japanese companies. It feels that India has high potential which align with its strategy and hence researches India’s market, situation, industrial parks etc.